Eurth Ang, the man accused of shooting and killing prominent government critic Kem Ley at a cafe on Sunday, is facing a life sentence after the Phnom Penh Municipal Court charged him with premeditated murder and carrying or transporting a weapon without authorization yesterday. He was arrested soon after the shooting and confessed to killing Mr. Ley. 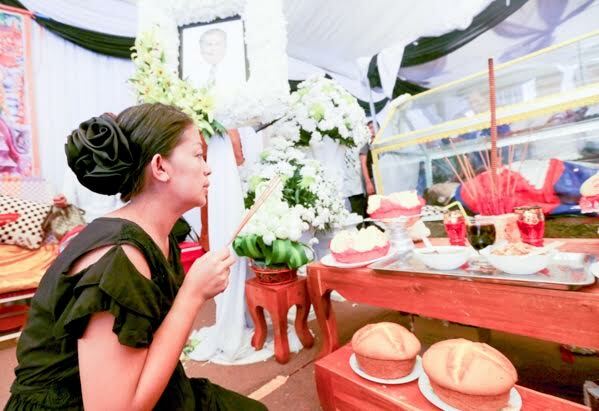 Mr. Ang initially gave police a fake name meaning “meet to kill” in Khmer, and told them he killed Mr. Ley because of an outstanding $3,000 debt owed to him. After being questioned for a day and a half, Mr. Ang was charged under articles 200 and 409 of the Penal Code, said Ly Sophanna, a spokesman for the Phnom Penh Municipal Court and a prosecutor on the case. Police were able to track down the seller of the weapon used, and charged the person with “selling weapons without authorization.” Mr. Sophanna would not confirm the gun dealer’s name. “The charge was based on the confession of the alleged gunman and the background of the incident, but the court will continue to investigate. This is the next step after the case is handed to the investigative judge,” he said. During an interview with Khmer Times on Tuesday, Heum Hort, the 45-year-old wife of Mr. Ang, said they had been living together for two months in Siem Reap province before he went to Phnom Penh last week. News of the shooting and the alleged reason behind it surprised her, as their family is extremely poor and there is no way they had $3,000 to lend to someone, she said. Ek Tatt, Mr. Ang’s 64-year-old mother who also lives in Siem Reap province, said her son was known to be an avid gun user and had been playing with weapons since his childhood and through his years in the army. The assassination of Mr. Ley has been condemned by both the local and international communities, with many calling for an open and independent investigation. Some local commentators doubt the gunman’s claims, due to statements from Mr. Ang’s wife, and believe he was hired by someone. Cambodian National Rescue Party (CNRP) members released a statement yesterday calling for experts to handle the case, citing the government’s past failure to solve similar killings of prominent government critics and referencing the assassinations of union leader Chea Vichea and environmental activist Chut Wutty. “The government has never caught the real killers or those behind the murders. In this case, we observed that an innocent suspect was captured and forced to provide answers linked to others or to accept guilt without any clear evidence,” the CNRP statement said. 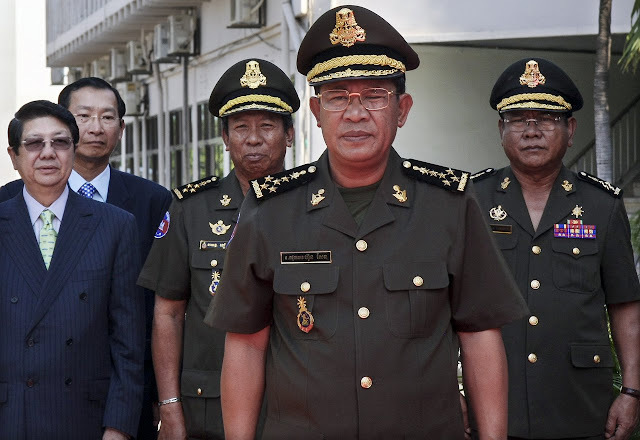 Eng Chhay Eang, a senior CNRP official, said an investigation without transparency would destroy faith from both the national and international communities that justice could be offered to victims of crime in Cambodia. “Please let the international community take part in the investigation, especially the UN, in order to end the brutal murders in the country and to conclude that it does not involve politics,” he said. A number of local NGOs and associations issued a joint statement casting doubt on the official motive released by police and the upcoming electoral process, saying Mr. Ley played an important role in society. 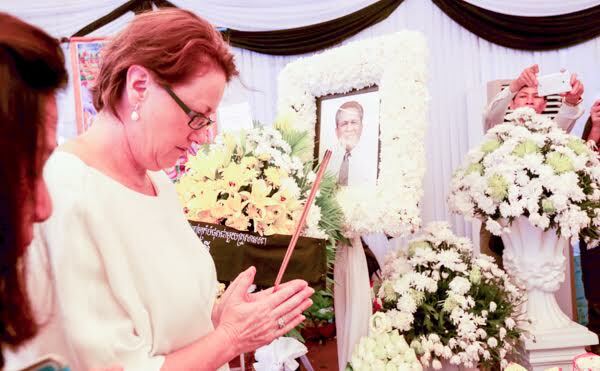 His brutal murder in broad daylight has led many to recall the beatings suffered by opposition members outside the National Assembly last year and has increased the intimidation and fear felt by voters, the statement said. Government spokesman Phay Siphan slammed the statement and said the comments were misleading and only served to present Cambodia in a negative light. They did not provide any reason or proof to back up their claims that the government was corrupt and abusing the law at will, he said. “The words that those NGOs used, including ‘intimidation,’ ‘threats,’ and ‘fear’ are a trap and they ignore the recognition that Khmer people have achieved through their nation,” he said. Transparency International released a statement strongly condemning the murder and expressing grave concern at the increasing restrictions placed upon civil society organizations, adding that the harassment and murder of activists across the country was damaging to an allegedly free and fair society.